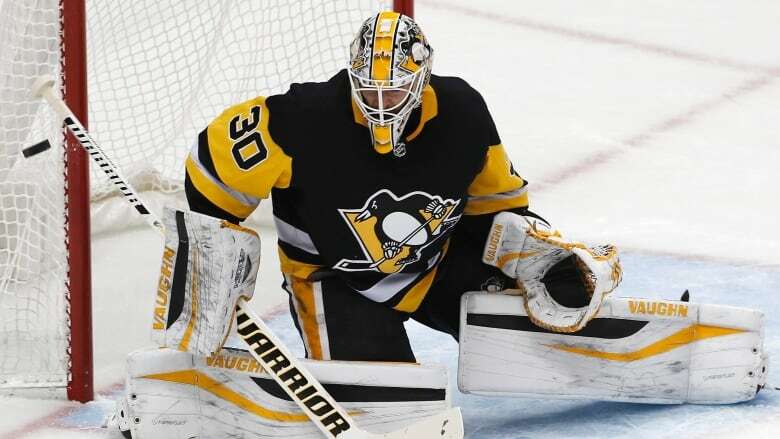 Two Thunder Bay, Ont., charities will be cheering extra loud for Pittsburgh Penguins goalie Matt Murray this season. The Thunder Bay-born Murray announced the Saves MATTer program on Wednesday. For each save he makes during the 2018-2019 NHL season, he'll donate $15, which will be split between Thunder Bay charities Dilico Anishinabek Family Care, and the Children's Aid Society. A further $15-per-save will go to the Ward Home in Pittsburgh, which provides independent living services for at-risk teens and adults. "I'm very fortunate to be a professional athlete and I want to do what I can to help others, especially kids and young adults," Murray said in a statement. "My dad worked with his hometown charities both professionally and personally throughout his life, so this donation will be made in his honour." Last season, Murray made 1,290 saves, which would have seen $38,700 in donations go to the three charities. The Penguins open their season at home on Thursday night against the Washington Capitals.